Time to start the discussion of our next novel from The Bestseller Code 100 list, Daddy’s Gone A Hunting by Mary Higgins Clark. Summary: Why does Kate Connelly ask a retired employee Gus to meet her at the family’s antique furniture museum at four thirty in the morning? What are they doing when the building explodes, leaving Gus dead and Kate in a coma? Are they victims or perpetrators? 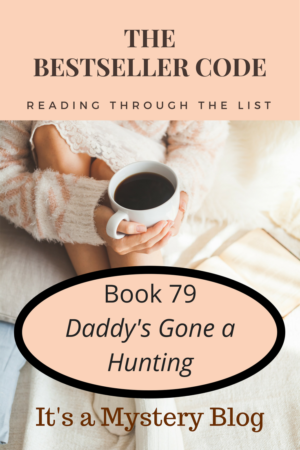 Have you read Daddy’s Gone A Hunting by Mary Higgins Clark ? We’d love to hear your thoughts.